I worry about my writing a lot. Its the only thing i can claim as my own and its probably my only legit ticket out of the rat race. My only honorable ticket i guess, cuz if something else got me free of the race and in the cottage by the sea, I would die knowing i had not fulfilled what i was supposed to, or at the very least given it my best shot. So i be worrying about that a lot. I could make a decent living writing about destinations I have never been to, hotels i’ll never stay in and occasional clever blog posts that require little from me. But I would die a slow death. I am dying a slow death. I remember back in 2005 when I said I would only make money from writing and thats it. I ended up being a “security guard,” weed trimmer and cook but basically, I made my money writing. And now I only make money via writing and nothing else. Not a lot of writers can say that. 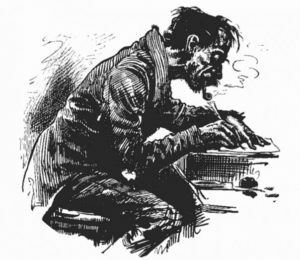 Most people who think of themselves as writers do other stuff so they can eat. Yeah so that’s cool, but its death really. its all death. death in a flat voice with an echoing scream barely audible in the background. So the crossroads loom ahead and I got blues in my ears and resignation in my heart. I’m willing to face polite applause, unwilling to applaud politely. One more clever line and I’ll scoop an eyeball out. I will put this comment in two places as it sort of deserves to be in two places. First, save a bit of cash so to cut out four, then get yourself to the North of India in the hills and write that book. The success of said book will then offset the need to address 4 when moving on the next time. You’re writing for a generation baby, get it done.